This is part 3 of my comprehensive coverage of our New Years pizza making, following the article on Dough and the one on the Pesto. Upcoming will be toppings and the pizzas themselves. Here are the ingredients. Two types of marzano tomatos from Italy. Crushed and pulped. 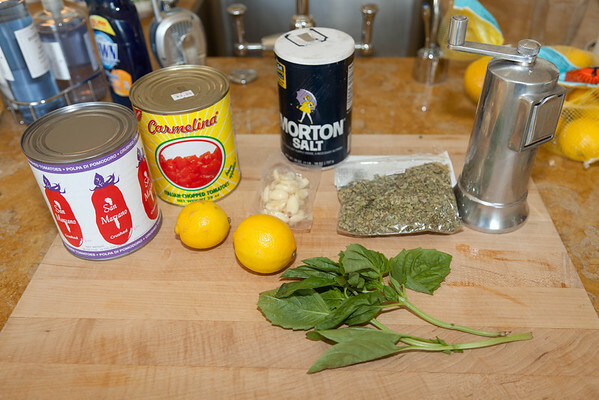 Garlic, lemons, salt, pepper, oregano, and fresh basil. 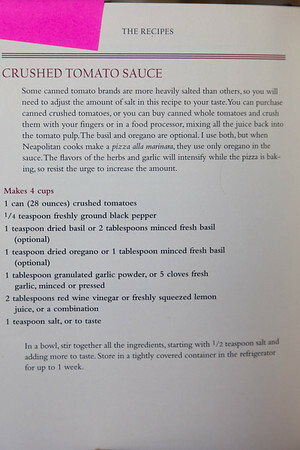 We use this recipe from the excellent pizza making book American Pie as a basis, but wing the proportions. Dump a bunch of stuff in, and blend. 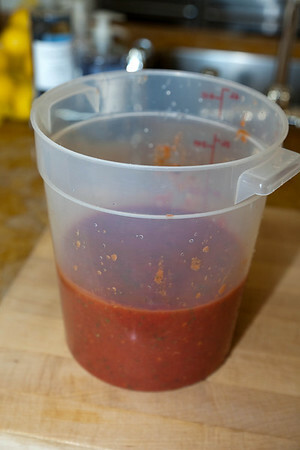 This is super easy and makes a much much fresher and better tomato sauce than any canned sauce. One could use fresh Marzanos, but they can be a bit of trouble to find. As a tease, here is the “pizza oven” in preparation. I have two ceramic pizza stones and I shove them in a Viking outdoor gas range. 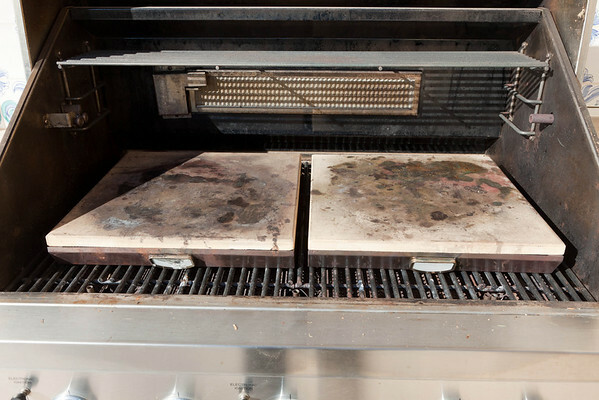 If one pre-heats an hour in advance it will get up to 800-900 degrees F — hot is good for pizzas. 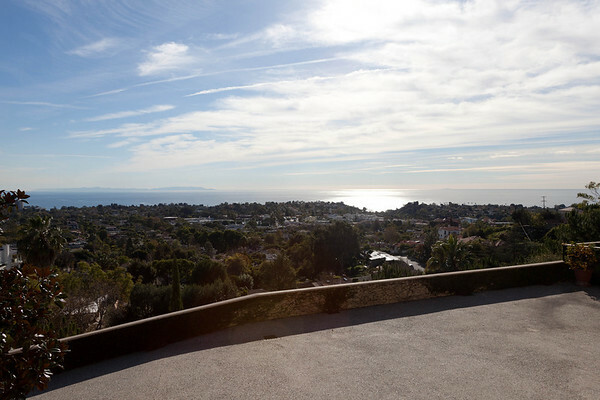 Southern California, December 31, 2010. 62 Degrees and gorgeous. 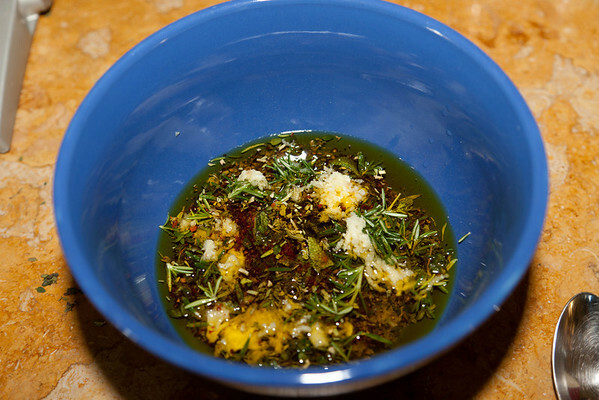 At the last minute I decided to try and make some of this herb oil. 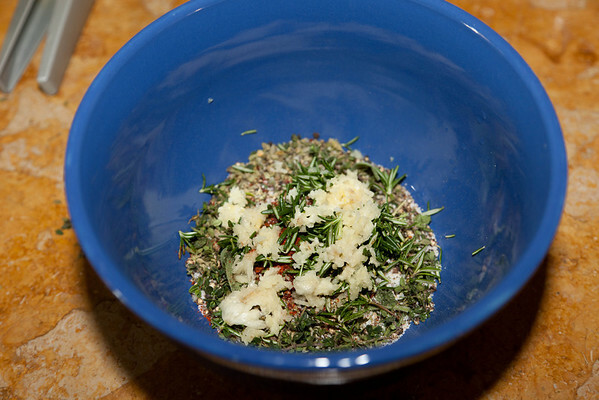 I through all sorts of herbs together, including fresh rosemary from the garden, and some garlic. 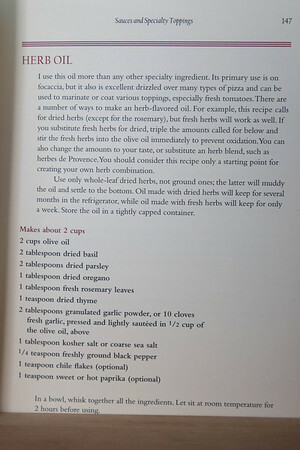 Dumped in some olive oil and stirred vigorously (picture is before the stirring). We’ll see how it tastes in a couple hours. Please CONTINUE HERE as we get closer to Ultimate Pizza. 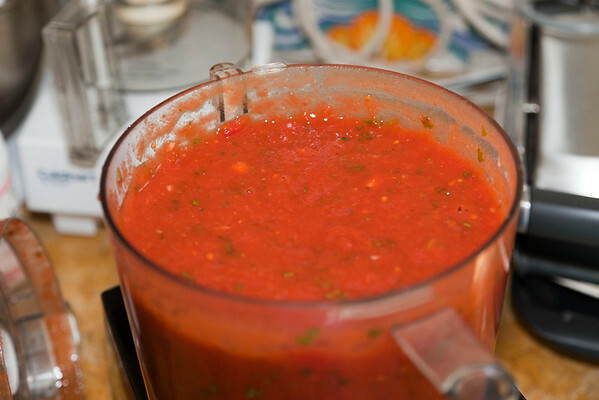 This entry was posted in Food and tagged Basil, Cooking, Dough, Food, Garlic, Herb Oil, Herbs, Home, Italy, New Year, Olive oil, Oregano, Pesto, Pizza, San Marzano Tomato, Southern California, Tomato, Tomato sauce.